When it comes to steak, no quality is so highly prized as marbling. 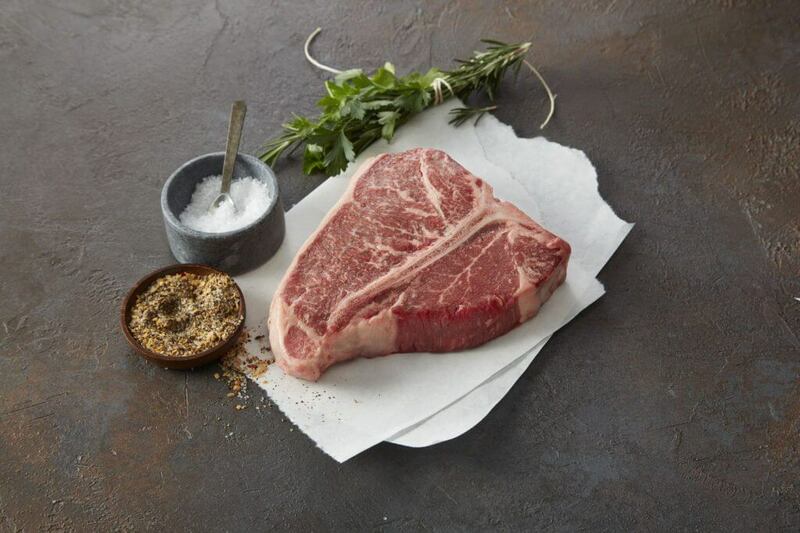 From USDA inspectors, to Michelin-rated chefs, to backyard steak aficionados, if you ask what matters most in a quality cut, anyone into steak will tell you the answer is easy: marbling. So what is marbling and what makes it so important to great steak? 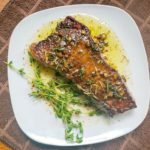 In this guide, we walk you through what marbling is, how well-marbled steaks are made, what marbling does to the flavor and texture of your steak, and how you can find the best marbled steaks. Marbling is a kind of fat that has a special type of structure and structural relationship with beef tissue. Marbling is what we call intramuscular fat, which means that it’s found inside the muscle. If you take a look at a New York Strip, for instance, the layer of fat along the outside is not considered marbling. Similarly, the big glob of fat in the middle of a ribeye is not considered marbling either. Instead, when you’re looking for marbling, you’re looking for the thin white streaks and flecks of fat inside the steak. These flecks and streaks give the appearance of marble, which is where marbling gets its name. What Does Marbling Do to Steak? When cooked hot enough – usually upwards of 130 F – the marbling in steak begins to melt and coat the muscle fibers surrounding it. This produces a rich buttery texture and enhances the bold, beefy flavor of the meat. The result is a far tastier steak. But at temperatures of 125 F and below, marbling actually has an adverse effect on steak quality. When cooked rare or blue rare, marbling fails to melt. 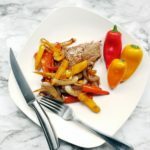 The unmelted fat gives steak a slightly waxy and unpleasant texture. This is why medium-rare is the standard for steakhouse cooking. At medium-rare temperatures (130-140 F), intramuscular fat melts completely, producing a juicier and more flavorful steak, while the steak’s center remains red and extra-tender. The one exception to the medium-rare guideline is the filet, which, due to its lower levels of marbling, is usually best enjoyed rare. This showcases its natural tenderness. There are three important factors to consider in what makes a well-marbled steak: breed, feed, and cut. Certain cuts of beef naturally accumulate more intramuscular fat than others. Some cuts known for their high degree of marbling are ribeye, short rib, strip, and flatiron steaks. Other premium cuts, such as filet, are prized for qualities other than marbling, such as extreme tenderness. A steer’s diet plays a big role in fatty tissue development. The best breeders and feedlot operators prefer feed mixtures high in corn products, which tends to produce more marbling with a slightly sweeter taste to it. This is why many high-end restaurants and meat wholesalers proudly boast about their corn-fed steaks. The breed of cattle is also extremely important. Certain genetic characteristics lead to leaner or fattier beef and can also factor into how well intramuscular fat is distributed. Japanese breeds of cattle known as Wagyu and Angus beef are both known for their high degrees of marbling. The easiest way to spot well-marbled steak is to look for the USDA shield. The USDA grades beef carcasses for marbling, examining the ribeye muscle between the 12th and 13th ribs on each beef steer. Only those steaks with the very best marbling are eligible to receive USDA Prime certification, the highest rating available for steak quality. It is always important to look for the USDA shield, as many sellers and restaurants will refer to steaks as “Prime” without using the USDA label. Other tactics include referring to steaks as “premium,” “bred-to-be-the-best,” or claiming they are rated “in-house.” This is usually a seller’s or restaurant’s way of covering up lower quality steaks. You should also be careful of artificial marbling, or steaks carrying labels like “fat injected” or “fat enhanced.” Artificial marbling is what happens when meat sellers inject fat into low quality cuts. The results can be very deceiving and often look even better than naturally marbled steaks. Thankfully, the USDA requires prominent labeling whenever this practice is used, making it easy for careful shoppers to avoid these dubious cuts. One tip for budget shoppers is to look for steaks rated as USDA Choice. This is the runner-up grade to USDA Prime. Choice steaks are sometimes nearly as well-marbled as Prime cuts. You’ll need an especially good eye to spot the best Choice cuts, but for those who pay close attention to marbling at the butcher counter, you can sometimes find a great deal using this method. To learn more about why marbling is great for your steak, check out this episode of Steak U TV where our own Chef Phillipe and Mark Kranenburg discuss why marbling plays such a key role in the quality of ribeyes.